Have you ever thought of investing in a multifamily home? Unlike single-family homes, these are dwellings with more than one unit that each have their own bathroom and kitchen. Interested in how this type of property could pay off for you? 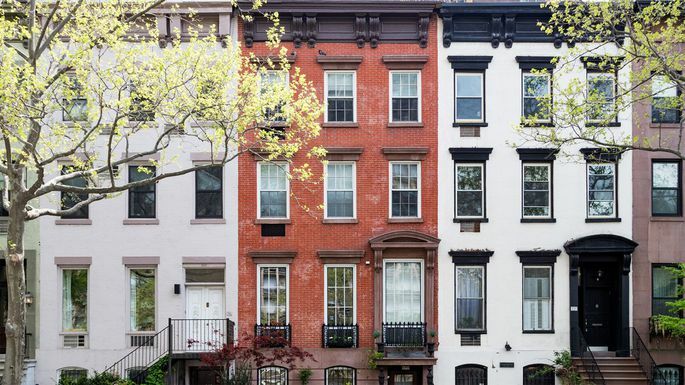 Read on for our breakdown of multifamily homes, including how to find them in your area. The most attractive part of investing in and renting out a multifamily home is the steady revenue stream you can get from collecting rent. Most people living in a multifamily home are looking to offset mortgage payments by using the income from renting out the other unit, says Lee Kiser, principal and managing broker at Kiser Group in Chicago. There are also tax advantages to buying a multifamily home. You can write off expenses related to your rental income and deduct the prorated portion of the mortgage interest. Also, an owner-occupied property may be a wise choice for homeowners living with members of their family, such as their adult children or elderly parents. They can live in one of the units for a period of time and not have to fork over all their savings on rent or a mortgage. Searching for available multifamily homes is simple. You can find multifamily homes through a search tool like realtor.com and filtering by property type. That’s a good place to start to see what’s available in the town you’d like to buy in. Additionally, Kiser suggests checking with commercial brokers. They offer more multifamily investment possibilities. If you think you could benefit from an expert’s opinion, Carol Greeley, a real estate agent in the greater Boston area, suggests you find a buyer’s agent. A buyer’s agent helps guide you through the search and helps you round out your house wish list. They’ll also advise you on how to submit an acceptable offer. And since the seller pays the real estate agents’ commission fees, it’s virtually free for you. Just like any new home, a multifamily home may be move-in ready, or it might be a serious fixer-upper. Before buying a multifamily home, you should perform due diligence and assess just how much money you’ll need to put into sprucing up the units. Make sure the home has a sturdy roof and structure, and all major systems like plumbing and HVAC are in working condition. Susan Haas, a real estate agent at Joyner Fine Properties in Richmond, VA, suggests getting quotes from contractors on any work that’s needed before making an offer on a home. If anything is out of order, you’re looking at a project that will cost upward of a few thousand dollars. For example, a new roof for a standard ranch-style house will cost around $5,000 to $8,000 on the low end, according to roofingcalc.com. Also, remember that you’ll likely need to perform work on the units before opening the doors for prospective tenants. A newly renovated home will attract more tenants and allow you to charge higher rent in the long run. How much for regular upkeep? The initial renovation costs are just the beginning; once you have tenants you’ll have to deal with maintaining multiple kitchen and bathrooms. Kiser says a good rule of thumb is to expect $300 to $500 worth of annual home improvements for each unit. So, a multifamily home with three units will cost between $900 and $1,500 annually for regular home improvement tasks. Of course, being handy can save money. Landlords of smaller multifamily homes may opt to perform basic maintenance tasks themselves instead of hiring someone like a plumber or painter. Some renters are cool with that, but others may prefer you hire a professional to take care of home projects.